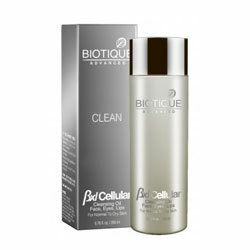 BXL Cellular Cleansing Oil For Face, Eyes and Lips is an ultra-gentle, all-in-one formula that dissolves even stubborn makeup with nurturing 100% natural botanical extracts. No harsh rubbing required. Keeps skin calm, soothed and moisturized. Powered by exclusive BXL Complex for the most energizing, nourishing and strengthening skin effects. Apply to cotton pads or wash cloth. Gently wipe over face, eyes and lip areas, AM and PM.